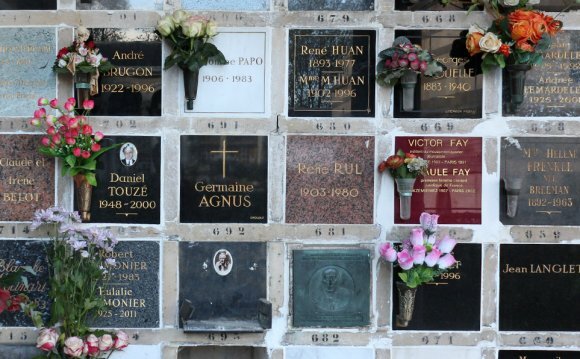 The following are answers to some of the most commonly asked questions about cremation. Please be aware that laws and procedures will vary from state to state and from provider to provider. Cremation is the process by which a body is exposed to extreme heat, usually 1800 - 2000 degrees Fahrenheit for two hours or more. Through this process the body is reduced to its basic elements, which are referred to as the "cremated body" or "cremated remains". Cremation occurs at a crematorium in a special kind of furnace called a cremation chamber or retort. It may surprise many to learn that ashes are not the final result since cremated remains have neither the appearance nor the chemical properties of ashes. They are, in fact, bone fragments. These fragments are further reduced in size through a mechanical process. After preparation, these elements are placed in a temporary container that is suitable for transport. Depending upon the size of the body, there are nomally three to nine pounds of fragments resulting. All responsible cremation providers have thorough operating policies and procedures in order to provide the highest level of service and reduce the possibility of human error. If you have questions, ask the cremation providers what procedures they use. There are countless options and laws do vary from state to state. Some options include remains being buried in a cemetery lot or cremation garden, inurned in a columbarium, kept at home, or scattered into the sea. Most funeral homes have to contract out this very vital process to third party providers whereas the funeral home has very small or no control over the crematory's operating procedures. Often, the family incurs additional transportation operating cost and unnecessary delays. Several of the cremation providers listed on cremation info manage and operate their own cremation facility. All organic bone fragments and all non-consumed metal items are placed into a stainless steel cooling pan located in the back of the cremation chamber. All non-consumed items, such as metal from clothing, hip joints, and bridgework, are divided from the cremated remains. This separation is accomplished through visual inspection as well as using a strong magnet for smaller and minute metallic objects. Items such as dental gold and silver are non-recoverable and are commingled in with the cremated remains. Remaining bone fragments are then processed in a machine to a consistent size and placed into a temporary or permanent urn, selected by the family. It is never done. Not only is it practical impossibility, but illegal to do so. The majority of modern cremation chambers are not of adequate size to house more than one adult.